A process called “tender steering” is new to most retailers. 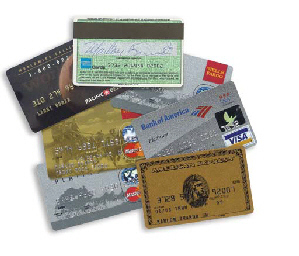 It means that a retailer can provide incentives to customers to use a particular type of card to pay. This method could give retailers the power to drive interchange rates down by driving customers to some types of cards and away from others. You might think that after half a century of having little or no control over the fees they pay to accept card payments, retailers would be demanding that all mobile commerce products and NFC-enabled systems support tender steering. They are not. Retailer associations have been virtually silent on the topic, and there are no reports of major retailer pushing this service. Since the invention of the credit card, retailers have had little choice in the fees they pay to accept cards as a payment type. Retailers could negotiate with their providers (a.k.a acquirers or independent sales organizations) for volume discounts, switch to lower cost providers, or choose to accept some card brands like MasterCard or Visa, and exclude other brands. While these tactics and strategies have lowered fees for some retailers, the scenario has been generally unchanged for decades. Tender steering will allow retailers to drive market conditions for payment products. If new mobile commerce products and services off competitive schemes and payment methods (like PayPal and ACH) to consumers at retail stores, the fees supported by both retail banks and MasterCard/Visa may be forced lower by retailers leveraging tender steering capabilities. If tender steering mechanisms are designed out of the mobile commerce systems currently under development, then retailers may not have the option to use this powerful system, and retailers may emerge as subjects to the payments industry instead of the drivers of a transformed payments industry. The recent announcements by the major payment corporations (MasterCard, Visa and others) will impact mobile commerce in United States are beginning to crystallize the strategies and revenue models of these companies. Unfortunately, retailers do not appear to be a voice in the development of the strategies and revenue models. As a result, tender steering mechanisms appear to be missing from most or all of the models currently under development by the MNO’s, banks and schemes. In fact, all recent announcements seem to point to the development of the mobile commerce arena in the United States as a set of programs dictated to retailers, not designed by retailers. If you can prove me wrong, I want to hear from you. The key to reducing costs for retailers using mobile payments is looking beyond interchange alone. Tender steering is probably the best opportunity for retailers to effect market rates for payments, which is the polar opposite of the present situation. Is it possible for a consumer to have more than one mobile wallet on their phone? Probably, but it is impossible to tell until more than one service is available on the same smartphone. Is there no opportunity to do this with NFC like Google Wallet? Is the retailer blind to the card being used by the consumer? If I understand correctly NFC is linked to a payment account so while you are processing the transaction with your phone, it is still using your credit card to actually process the transaction on the backend. Bought the Kindle version of your book on Amazon today, gonna try and read through it this weekend. Have a good one! Is there no opportunity to do this with NFC like Google Wallet? Yes, the Google Wallet will be able to do this; I do not yet know if they will. Is the retailer blind to the card being used by the consumer? Not necessarily. If the user of the smartphone gives the Mobile Wallet app (like Google Wallet or Isis) permission to disclose all available payment types, and the retailer wanted that information, then NFC + Mobile Wallet app could combine to make that happen. If I understand correctly NFC is linked to a payment account so while you are processing the transaction with your phone, it is still using your credit card to actually process the transaction on the backend. You basically have it right regarding the account: the idea is that the mobile wallet application will not store your actual 16–digit credit card number for – say – a Wells Fargo MasterCard; the storage and encryption is much more complicated than that. But if you have registered your Wells Fargo MasterCard in your mobile wallet application, and you use it to make a purchase at RadioShack, and later you decide to use your plastic Wells Fargo MasterCard at your local coffee shop, both the RadioShack charge and the coffee shop charge will both show up on your same Wells Fargo statement at the end of the month. NFC is never linked to a payment account. It is just a chip and a tiny radio antenna with the basic language that allows it to send and receive messages with another NFC chip. It’s the smart phone application that turns the NFC chip on and governs the messages/ responses that the NFC chip sends. Bought the Kindle version of your book on Amazon today, gonna try and read through it this weekend. Great post on an old school issue that IMHO presents opportunity for all the alt payment rails that are looking to take share from the incumbents.